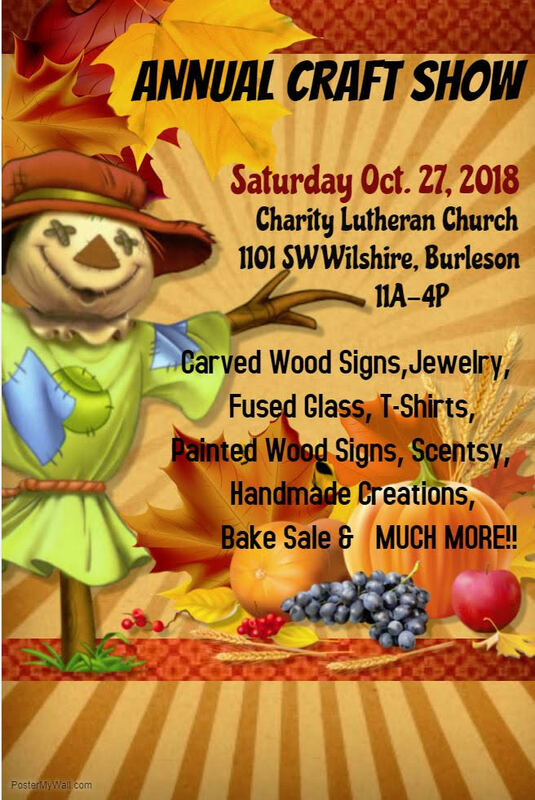 "Craft Show and Bake Sale!" Booths are 10 X 10 and cost $35. Electricity is $45. This fee includes 1 table and 2 chairs. Applications are available here and are due by October 26th, 2018. For more information, contact their event coordinator at Angela at angiebelles1968@gmail.com / 682.202.4885.